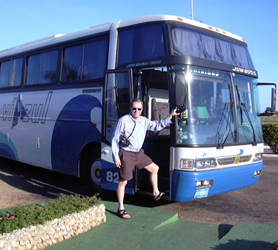 Viazul Cuba Bus Service is the perfect option to visit Sancti Spiritus. For those of you who don’t wish to Rent a Car in Cuba to visit Sancti Spiritus the Viazul bus service will take you across Cuba and to Sancti Spiritus in comfort. Buses are new air-conditioned models with onboard WC, central TV and lower suitcase compartment. Unless you intend to take the bus the moment you arrive, in most cases there is no need to book in advance as extra buses are added to routes when a particular route becomes overbooked. Simply visit the offices listed below, buy your ticket and travel either that day or any day in the future. The Viazul ticketing service is quick and efficient so usually you can collect a ticket in minutes. Departure times are clearly shown outside each booth. 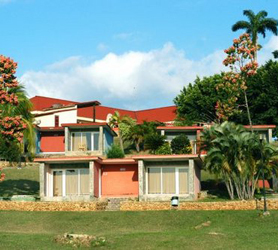 A Casa Particular or home stay in the main tourism venues of Sancti Spiritus such as; Playa Ancon, Trinidad, Topes de Collantes, La Boca or, even just outside Sancti Spiritus, will ensure you experience both the wonders of Sancti Spiritus’s amazing culture, immersed in one-on-one contact with your Cuban hosts in the UNESCO acclaimed province. Learn about Sancti Spiritus’s rich history, together with true Cuban hospitality. The owners of your casa particular in Sancti Spiritus speak fluent English and have a profound knowledge of the city and its many sights. Any questions you wish to ask will be answered instantly by the Cuban family you are staying with. Some of our casa particulares also offer meals and drinks, meaning you’ll get to try some authentic Cuban food also. Here is a list of just a few Casa Particulares in Sancti Spiritus which can be reserved online through us. 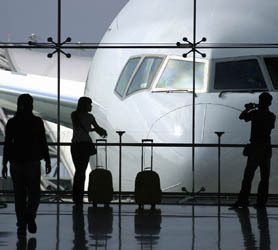 The next nearest major airport is Abel Santamaria Airport Santa Clara (SNU). This airport has international and domestic flights from Santa Clara, Cuba and is 97 km (60 miles) from the center of Sancti Spiritus, Cuba. Another major airport is Jaime Gonzalez Airport (CFG), which has international and domestic flights from Cienfuegos, Cuba and is 146 km (90 miles) from Sancti Spiritus, Cuba. Jardines del Rey International Airport (CCC) has international and domestic flights from Cayo Coco, Cuba and is 172 km (106 miles) from Sancti Spiritus, Cuba. 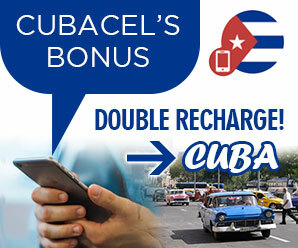 Find some hotels near Sancti Spiritus, Cuba or Rent a Car in Cuba at the above Cuban Airports. 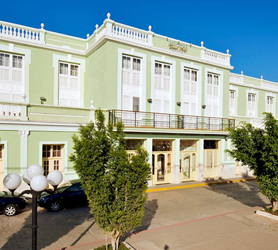 Cuba Hotels and Casa Particular by Category is offered exclusively from the Cuba Sancti Spiritus Hotel Team at Travelucion. Browse Cuban hotels & Casas by destination, price or read Cuban Hotel Reviews. Travelucion also offers independent reviews on over 400 Casa particular in Cuba, each accessible from the links below and conveniently situated in each Cuban province.